About: Aircraft Maintenance Engineering Entrance Examination (AMEEE 2019) is an institute level entrance exam helps candidates who are seeking admission into Aircraft Maintenance Engineering courses. Objective: The objective to conduct the test is to shortlist the deserving students from the crowd of numerous applicants, as there are a limited number of seats available in the University and its associated colleges. Authority: The AMEEE 2019 is conducted by Indraprastha Institute of Aeronautics for aircraft maintenance engineering courses. Level: Aircraft Maintenance Engineering Entrance Exam is an Institute level Entrance Examination. It is conducted once a year usually in the month of May. Frequency: Just like most of the entrance exams such as CLAT, JEE Main etc, this exam is also conducted once in a year. Careers: The AMEEE 2019 exam is one of the most known entrance examinations conducted for the undergraduates where it gives new avenues to the careers of students in the field of aeronautics. Application Form: The AMEEE 2019 exam application form will be available from 2nd February 2019 and the candidates have to complete the application form by 31st March 2019. Admit Card: The AMEEE 2019 admit card will be available from 9th April 2019 and it can be downloaded from the official website. To know more about exam dates, result dates, counselling dates, check AMEEE 2019 Important Dates. Qualification: The candidate who is applying for AMEEE 2019 exam must have 50% in their class 11 and class 12 academics. Age Limit: The Eligibility Criteria for AMEEE 2019 exam age limit is the candidate must be of 17 years of age before applying for the exam. To know more about Academic Eligibility Criteria and the Age limit, check AMEEE 2019 Eligibility. Online Application Process: In order to complete the AMEEE 2019 online application form successfully the candidate must enter details such as personal details, qualification details, personal details etc and proceed with the payment. Offline Application Process: For the AMEEE 2019 offline application form, the candidates can go to the official website and download the application and fill in details. once after filling in details the candidates must pay the fee in bank and post it to the official address. To know more about 2019 Application Form and steps to submit the application form and payment ways, check AMEEE 2019 Application Process. Paper Pattern: The AMEEE 2019 exam will cover class 11 and class 12 Chemistry, Mathematics, Physics and General Knowledge with 200 questions of multiple choice which will be in offline mode. Marking Scheme: For every correct answer, the candidate will get 1 marks and there will be no negative mark for the wrong answer. For detailed information on exam pattern, and exam duration, check AMEEE 2019 Exam Pattern. Credentials: Candidates needs to enter their application number and password to download AMEEE 2019 admit card. Specifics: The AMEEE 2019 admit card contains the details such as candidate's name, age, exam centre, course applied for, date of exam and other exam related information and guidelines. For detailed stepwise instruction on how to download admit card, check AMEEE 2019 Admit Card. Sections: The different sections of class XI and class XII will be covered in the AMEEE 2019 Syllabus. Subjects: The syllabus of AMEEE 2019 exam will be consists of 3 different subjects like Physics, Chemistry, Mathematics, and English. To know more about syllabus and topics under all subjects, check AMEEE 2019 Syllabus. Results Date: After finishing the AMEEE 2019, candidates can check their results of AMEEE 2019 examination from 9th May 2019 on the official website of the Indraprastha Institute of Aeronautics. Credentials: To Download the AMEEE 2019 Results, the candidates are expected to enter the Roll Number and the respective Date of Birth. To know more about results and cut off marks for previous year, check AMEEE 2019 Results. Counselling Date: The counselling process of AMEEE 2019 exam starts from 4th June 2019. The eligible candidates are expected to attend the counselling of AMEEE 2019. Documents Required: The candidates are expected to bring all the original documents as prescribed in the AMEEE 2019 notification. National Highway (N.H.-8), Sector-77, Gurgaon Haryana 122004. Application Form: The AMEEE 2019 exam application form will be available from 2nd February 2019 to 31st March 2019. Admit Card: The AMEEE 2019 Admit Card will be made available from 9th April 2019. Examination: The AMEEE 2019 exam will be conducted on 6th May 2019. Result: The AMEEE 2019 exam results will be announced on 9th May 2019. Counselling: The counselling of AMEEE 2019 exam will start from 4th June 2019. The minimum eligibility for this course is 10th grade with age limit to be above 16 years and below 23 years of age to be eligible. The candidates holding a degree of 10+2 or an equivalent exam from any recognized board or university are directly eligible. The candidate must have secured a minimum of 50% marks in Physics, Chemistry, and Mathematics to satisfy the eligibility criteria. NRI and OCI applicants are also eligible to apply for the exam along with Indian students. Candidates need to upload the documents. Candidates need to select two exam centres. Candidates need to enter the correct details. The application form of Aircraft maintenance engineering entrance examination AMEEE 2019 will be available from 2nd February 2019 onwards on the official website of the University. The Candidate has to fill all the details in application form with other needed documents. The candidates applying through the offline mode of AMEEE 2019 can fill their form and submit to the main office of the university. The candidates applying through online mode of AMEEE 2019 should upload the duly filled application form and press “Submit”. The Foreign candidates must have some eligibility criteria and some of the important documents to be updated at the time of filling the application form of AMEEE 2019 and at the time of processing the documents after the selection process. The candidates need to enter their application number and password to download AMEEE 2019 admit card. The AMEEE 2019 admit card contains the details such as candidate's name, age, exam center, course applied for, date of exam and other exam related information and guidelines. Go to the official website to check for the AMEEE 2019 admit card availability online. The AMEEE 2019 exam will be conducted in offline mode. The AMEEE 2019 exam duration will be 3 hours for 200 questions in the question paper. The Question Paper will cover Chemistry, mathematics, Physics and general knowledge. The medium of the exam will be either in English or Hindi. Each correct answer will carry 1 mark and there is no negative marking. The AMEEE 2019 syllabus covers topics from Classes XI and XII. The AMEEE 2019 syllabus will comprise of Physics, Mathematics, Chemistry as subjects. The candidates must revise the concepts of these two classes thoroughly as they will be the testing ground for the students. The candidates are advised that the AMEEE 2019 exam preparation should be completed one or two weeks before the exam so that students are left with ample time to revise the concepts. Once the AMEEE 2019 exam got over, the results are uploaded to the official website for the exam. The merit list of AMEEE 2019 exam will be prepared on the basis of marks secured in the examination. Go to the Official Website of AMEEE 2019. A page opens up where the candidate is asked to fill in certain details to access the Results. Candidates need to fill up AMEEE 2019 Roll number/Registration number. The Results will then be displayed on the screen. Selection Process: The selection process to the same is through the AMEEE 2019 exam entrance examination. Counselling: The counselling process of AMEEE 2019 exam starts from 4th June 2019. Verification: Documents verification also will be done during AMEEE 2019 exam counselling process. You have to pass 12th grade with physics, chemistry and maths with 75% and also give AMEEE exam. When will the AMEEE 2018 counselling begin? The AMEEE counselling will tentatively begin from 4th June 2018. Click here to know about AMEEE counselling process. I have score 52% in 10th and 49% in 12th. Am I eligible for AMEEE? You are not eligible for AMEEE. What is the un-employment ratio of AME compared to others? The demand of AME Licence holder is such that very few are unemployed as compared to other technical courses. To know more about the exam, click here. Can a B. E. (Aeronautical) degree holder become an Aircraft Maintenance Engineer? Any person holding a degree in any branch of Aeronautical Engineering wants to work an AME should have AME licence issued by DGCA (Govt. of India) for which he/she has to acquire practical experience in aviation as stipulated in Civil Aviation Requirements and pass the AME licence papers conducted by the DGCA thereafter. Question paper of last year AMEEE entrance examination? Please send me last year's AMEEE entrance examination Paper? AMEEE Previous Year Question Papers will be available to you as soon as Indraprasth Institute of Aeronautics releases it on an official note. No previous year Question Papers for AMEEE is available at the moment. When will the Admit Card for AMEEE 2017 be released? 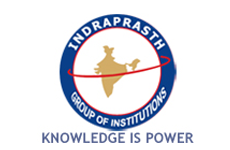 The Admit Card to AMEEE has been published by Indraprastha Institute of Aeronautics. Candidates have to enter their AMEEE Roll No. to access the Admit Card.